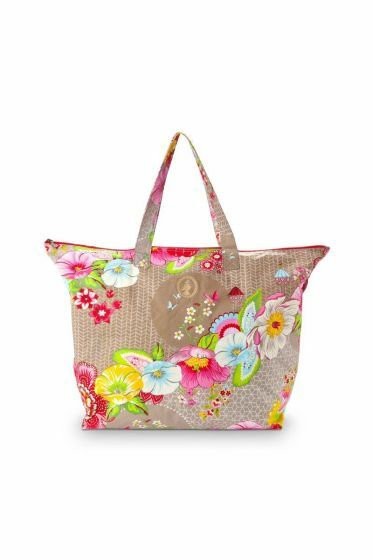 Fit everything in this khaki all-over printed Swinging Flowers carry all beach bag and head straight to the beach! The bag is coated which makes the bag waterproof. 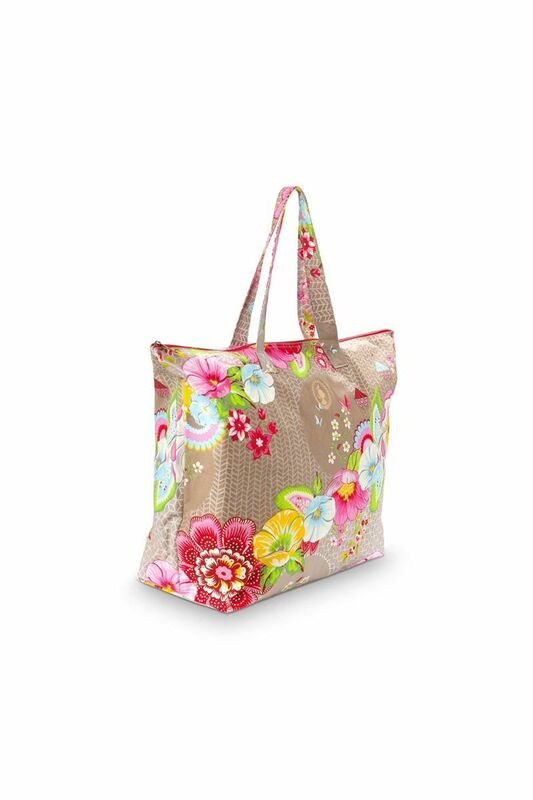 The straps make it easy to take your bag anywhere easily.